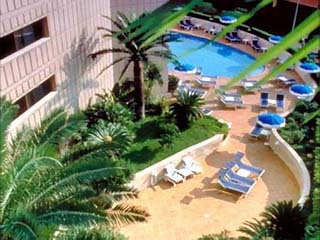 4 Hotels found in Monaco! Open All Year... 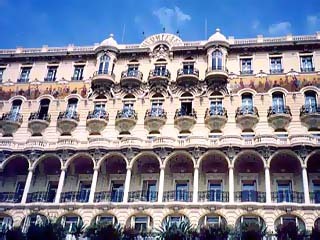 The Hotel de Paris was conceived in 1864 to go beyond the known standards of comfort and refinement. The Hotel de Paris continues to celebrate the splendours of yesterday. 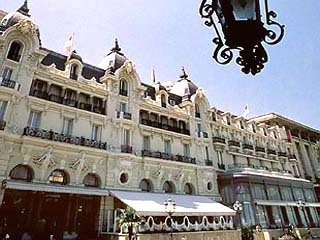 The pleasant and shining luxury of the Belle Epoque era lends this Hotel the feeling of legend. 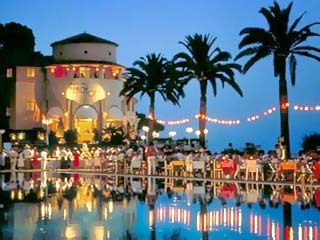 Open All Year... Overlooking the Mediterranean, the Hotel Hermitage cultivates elegance at its peak. Opened at the turn of the last century this historic Palace has an intimate and congenial atmosphere where serenity is reborn with each days sun rise. Open All Year... With its thoroughly modern silhouette the Hotel Mirabeau stands a stones throw from the sea and the casinos. Its classic urban architecture is beautifully complimented by the giant Pool and the efficiency of its hospitality. Open: March - November... Located in the heart of a sheltered bay on the outskirts of the Principality, The Monte-Carlo Beach Hotel is almost suspended between the seas and the sky. Surrounded by the magnificent nautical club and its Olympic Swimming Pool it offers comfort beyond parallel on the coast.